Outback Ballooning is committed to providing quality services to you and this policy outlines our ongoing obligations to you in respect of how we manage your Personal Information. 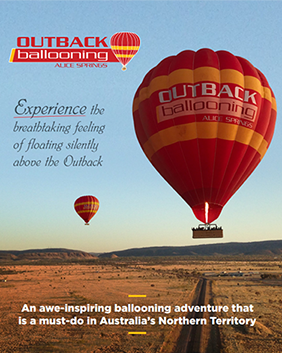 This Personal Information is obtained in many ways including by telephone, email, via our website www.outbackballooning.com.au and from third parties. We don’t guarantee website links or policy of authorised third parties. This section applies if you are based in the European Economic Area (EEA) during your interactions with us and sets out the additional information that we are required to provide to you under European data protection laws. Personal data has the same meaning as in Article 4 of the EU General Data Protection Regulation (“GDPR”) and includes but is not limited to all information relating to an identified or identifiable natural person, such as that person’s name, address, email address and bank account details. Under European data protection laws, use of personal data must be based on one of a number of legal grounds and we are required to set out the grounds in respect of each use. We may process personal data only when the processing is permitted by the specific legal ground set out in the law. Vital interests: where we need to process your personal data in order to protect the vital interests of you or another natural person, e.g. where you require urgent assistance. Consent: where you have explicitly consented to our use of your personal data. You may withdraw your consent to the use of your personal data. Vital interest: where we need to process your personal data in order to protect the vital interests of you or another natural person where you or the other person is physically or legally incapable of giving consent. Legal claims: where your personal data is necessary for us to establish, exercise or defend any legal claims. Substantial public interest: where we need to process your personal data for reasons of substantial public interest set out in EU law or the laws of the member state in which you are based. Public interest in area of public health: where we need to process your personal data for reasons of public interest in the area of public health, such as protecting against serious cross-border threats to health, set out in EU law or the laws of the member state in which you are based. When we transfer personal data from inside the EEA to outside the EEA, we may be required by law to take specific measures to safeguard the relevant personal data. Certain countries outside the EEA have been approved by the European Commission as providing essentially equivalent protections to EEA data protection laws and therefore no additional safeguards are required to export personal data from the EEA to these jurisdictions. In countries which have not had these approvals, we will use appropriate safeguards to protect any personal data being transferred, such as EU Commission-approved model contractual clauses or binding corporate rules permitted by applicable legal requirements. Outback Ballooning will not charge any fee for your access request but may charge an administrative fee for providing a copy of your Personal Information.